The first church constructed was an unpainted clapboard building. Various preachers came to Conway, but were unable to stay because the church could not financially support them. Some of the earlier pastors were Elder J. T. Barber, Elder Jim Simmons of North Carolina,Elder Dan Thompson of New York, Elder Elijah Jenkins and Elder Paul Taylor of South Carolina. After Elder Taylor left, Elder T. O. Manigo pastored a short while, but left to begin a ministry in his hometown. Elder E. N. Brockington became Mason Temple’s first permanent pastor. During his tenure, there were many improvements made on the church building. Also, many ministers acknowledged the call of God on their life (one of which is now our current Pastor, then Minister James L. Lee). 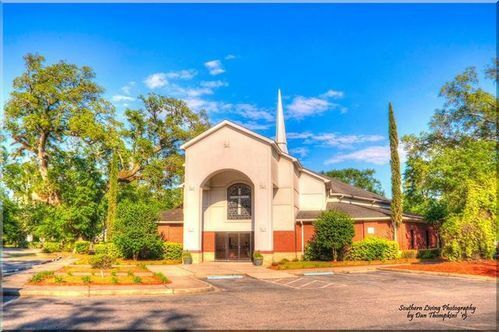 In 1978, Elder Brockington resigned as pastor of Mason Temple and began construction of Faith Temple Church Of God In Christ, also located in Conway, South Carolina. Bishop H. Jenkins Bell, Bishop of the South Carolina Jurisdiction at that time, assigned Elder Johnie Johnson, the present Jurisdictional Bishop, as interim Pastor. In 1979 Superintendent Eugene Canty was appointed as Pastor. Superintendent Canty recommended Minister James Lee for ordination in 1980. After being ordained, Elder Lee was assigned by Bishop Bell to Mason Temple as Associate Pastor working with Superintendent Canty. It was during Superintendent Canty's administration that the initial planning for the construction of a new sanctuary began. Elder Lee was given permission to actively seek a site for the erection of the new church. Several areas were considered, but the Lord kept leading Elder Lee back to the Racepath location. Having resolved that this was where the Lord wanted the church to remain, Elder Lee checked the courthouse records to determine the ownership of the property. Mrs. Juanita Lynch Kelly had been given the property by her deceased father. Because of the sentimental value attached to this property, Mrs. Kelly was reluctant to part with it; but on Christmas Eve Night in 1980, she graciously consented. In March 1982 Bishop H. Jenkins Bell appointed Elder James L. Lee as Pastor of Mason Temple Church Of God In Christ. One morning during the early morning prayer one of the members at that time, sister Pearlie Mae Brown, said the Lord told her that we should start building because "the door was open". Elder Lee acted on this Word from the Lord and revisited many areas where he had found closed doors. He found that the doors were indeed open. The Mason Temple located at 1520 Racepath was dedicated on December 18, 1982. During the church's annual business meeting in January of 1983, Pastor Lee revealed a plan that God had given him to liquidate the church mortgage in three years: the "ONE-ADAY" plan. The members pledged a dollar a day for three years to pay off the church. Various fundraising activities were undertaken to under-gird this program. The membership grew and the determination among the Saints was great. After one year, the Lord showed the members that the church could be paid for in two years instead of three. Pastor Lee reminded the Saints that much prayer had to be done if the church was to be blessed of the Lord. Monthly three-day fasts were initiated at the church: morning, noon and midnight prayers were held daily during the year. The Lord did indeed bless Mason Temple in all its efforts. On December 16, 1984, the mortgage burning service of Mason Temple Church of God in Christ were held. The Lord has taken Mason Temple from a membership of approximately 25 in 1982, to more than 500 Sunday morning worshippers. The church is still growing. Souls are being saved and lives are being richly blessed as Pastor James Lee continues to minister under the anointing power of the Holy Ghost. Outreach ministries such as the Prison Ministry, Media Ministry, and the Genesis Complex are touching the hearts of the church community and the community at large with God's Word. The Lord gave Pastor Lee the vision to build our newest edifice located at 1501 7th Avenue, Conway, South Carolina. After many Sunday services of overflow capacity, it became more and more evident that the Lord was pouring out a blessing that we did not have room to receive. Pastor Lee's diligence in seeking the will of God and determination to wait on the Lord's leading brought him to secure and commence building at the 7th Avenue location. We praise God for the wisdom, the understanding and the wherewithal that He has given Pastor Lee to shepherd His people in the furtherance of this great work. 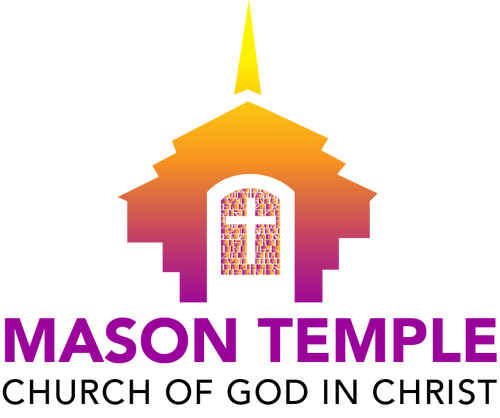 Mason Temple is affiliated with the Churches of God in Christ whose national headquarters are located in Memphis.